After a fresh coat of oil and placing the furniture back into its home it’s quite a view from this Cumaru bird nest deck. Having the black deck furniture and the new coat makes the grains and deep red of the Cumaru really stand out. 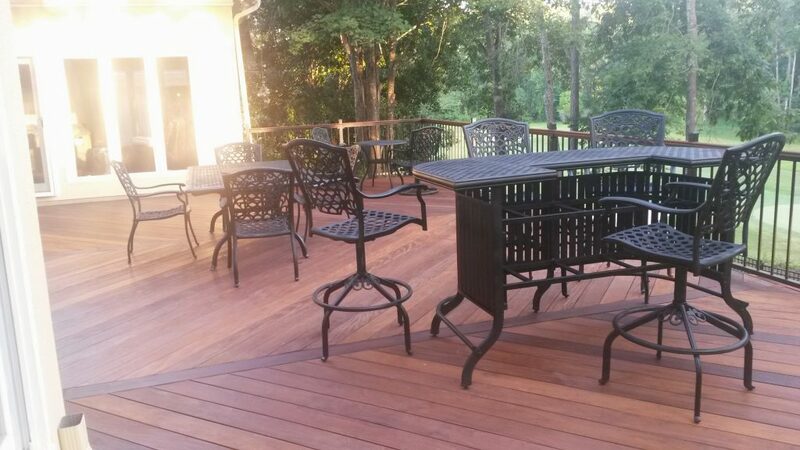 Can’t help but appreciate the 45 degree offset boards across this deck.